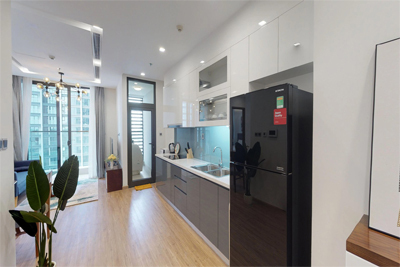 This modern apartment is located in M2 tower, Vinhomes Metropolis, Lieu Giai srteet, Ba Dinh, Hanoi. It is fully furnished with brand new furniture and equipment. Total living space is 50 sqm, composed of a spacious living room, 1 cozy bedrooms, 1 bathrooms, and an open kitchen. All rooms are full of natural light. 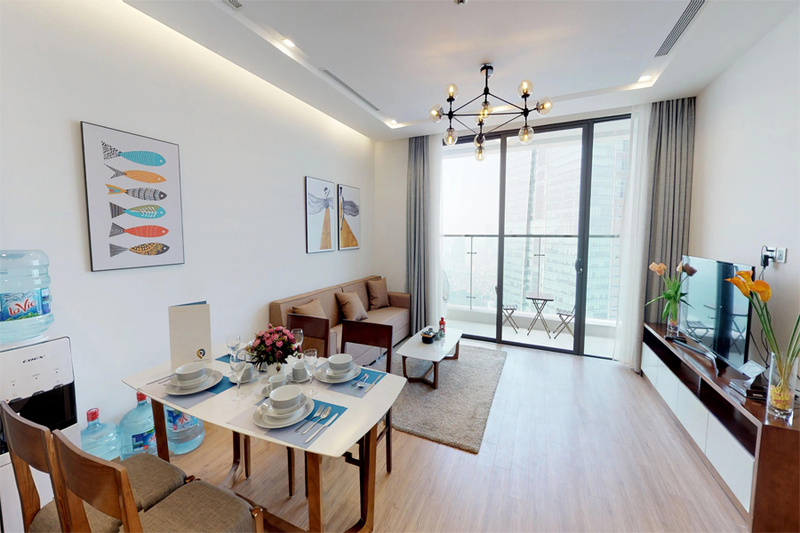 Modern 1 bedroom apartment with balcony in Vinhomes Metropolis, 27 Lieu Gia street. Total living area is 50 sqm, composed of 1 bright living room, 1 cozy bedroom, a bathroom, and a well eqipped kitchen. Living room and bedroom have floor to ceiling windows drawing the outdoors in and flooding the apartment with natural light. It is fully furnished with modern style furniture. High end 2 bedroom apartment for rent in Sunshine Riverside with Westlake view. 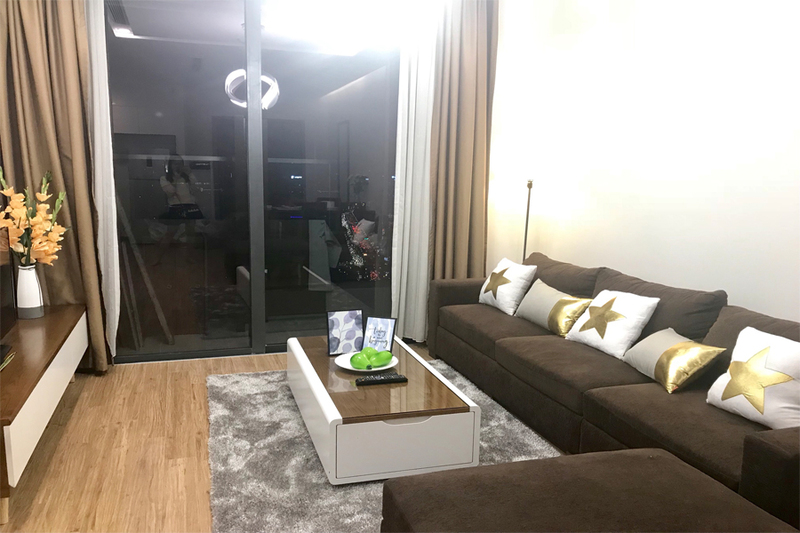 Total living area is 90 sqm, composed of a bright living room, 2 bedrooms, 2 bathrooms, a modern kitchen, and balcony with great view of Westlake. It is fully covered with high quality wooden floor in all bedrooms and living room. 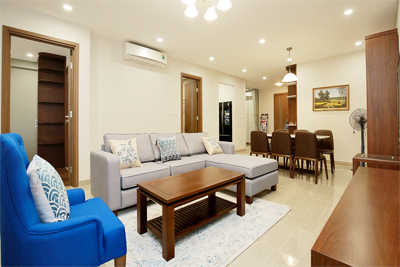 This modern apartment apartment is located on high floor in M1 tower, Vinhomes Metropolis, Lieu Giai srteet, Ba Dinh, Hanoi. It is fully furnished with brand new furniture and equipment. Total living space is 70 sqm, composed of a spacious living room with a large balcony, 2 cozy bedrooms, 2 bathrooms, and an open kitchen. The living room and bedrooms have floor to ceiling windows drawing the outdoors in and flooding the apartment with natural light. 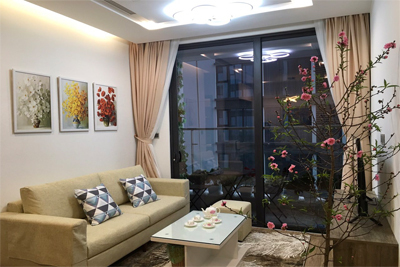 This beautiful apartment is located on high floor with a nice view in Vinhomes Metropolis, Lieu Gia street, Ba Dinh district, Hanoi. It is well designed with a spacious living room combined with open kitchen and dining area, 2 cozy bedrooms, 2 bathrooms. It is fully furnished with modern and high end quality furniture and equipment. 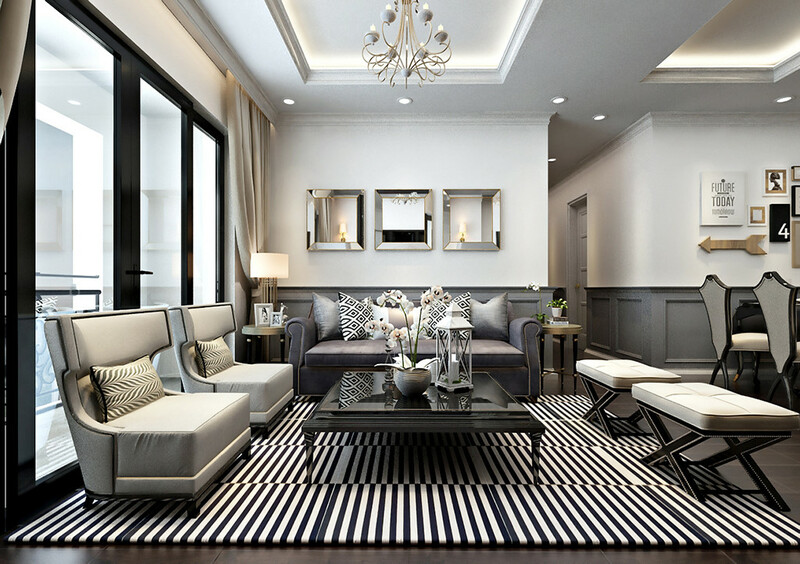 Vinhomes Metropolis is a good choice to live because the location is very convenient, it is easy to go to other areas in Hanoi. This brand new apartment has total living area of 114 sqm, composed of 3 bedrooms, 2 bathrooms, living room and kitchen. It is great located on high floor of L3 building with fantastic view of Ciputra Golf Course. It is fully furnished with modern style furniture and equipment. Location is very convenient, walking distance to minimart, pool, gym, international schools. This aparment is well designed with 3 bedrooms, 2 bathrooms, a spacious living room and a separate kitchen. It is provided with modern and high quality furniture, all in excellent condition. It is located on middle floor with nice view. 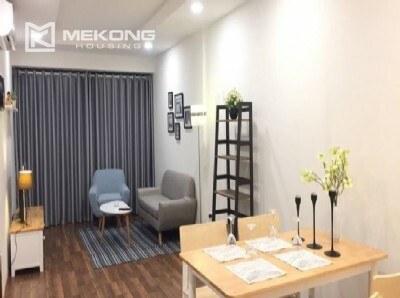 A rental 85 sqm apartment is fully furnished in Goldmark city, 136 Ho Tung Mau, Bac Tu Liem district, Hanoi . 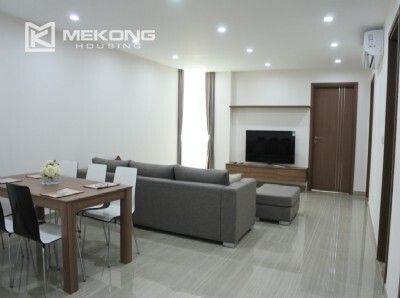 It is composed of 2 bedrooms, 2 bathrooms, a nice living room and a modern kitchen. It is fully furnished with brand new furniture and equipment, all is excellent working condition. The location is very convenient.